In an interview with Justice Minister Ayelet Shaked, journalist Udi Segal offered a remark that earned him the Minister's scathing opprobrium. 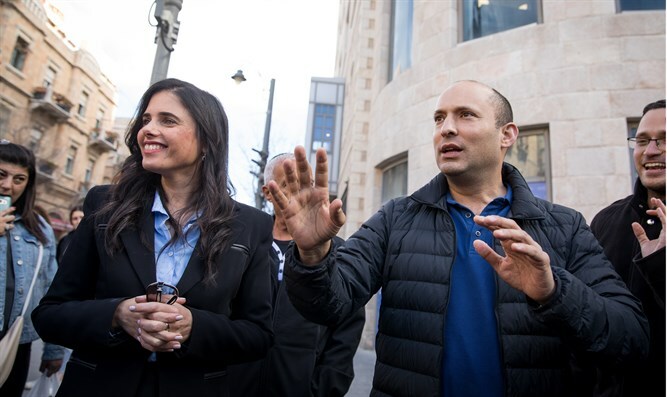 "Look, Naftali Bennett, or I should say Captain Naftali Bennett, said Gantz was a weak Chief of Staff who strove for a stalemate and didn't want to defeat the Hamas. I want to understand: Netanyahu gave an order..."
At Segal's mention of Bennett's rank Shaked stopped Segal in mid-sentence to say, "Your slight wasn't nice," to which Segal asked, "Why?" 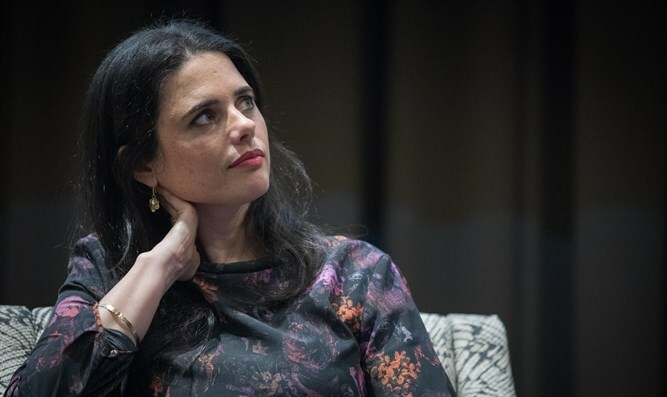 "Because we're not a fascist country," Shaked retorted. "Not only generals can be politicians, and not only generals can be defense ministers. There were superb civilian defense ministers, right? Moshe Arens, yes? Excellent. One of the best defense ministers there was. So I ask that you not disrespect. Not only someone with epaulets can be defense minister. We're in a democratic country. "He was a Chief of Staff who did not strive for victory - it's not me saying that, it's the State Comptroller's report that established it. "The Comptroller's report says Bennett aimed to destroy the tunnels; Bogi Ya'alon and Gantz who were Defense Minister and Chief of Staff said Hamas would not use the tunnels and that's not what happened, and that we didn't need to deal with the tunnels then and we saw it was wrong; now finally Israel is dealing with the tunnels." Segal asked Shaked, "But it could be that Gantz as Chief of Staff was executing Netanyahu's policy because if so that not a small leadership failure." Shaked remained unimpressed: "You know, what's amazing is that this entire interview is also about Gantz. Enough with this Gantzfest. We have other things to discuss, we have a new party that we established. I, as opposed to Gantz's party, have a platform, so I'd appreciate it if we'd talk about that." The interview was released as a New Right party campaign advertisement.